In an audio message released on Aug. 31, Zakir Musa criticized the Pakistani government and vowed to fight for the implementation of sharia law in Kashmir. Zakir Musa, the leader of the newly-formed Ansar Ghazwat-ul-Hind, has released an audio message in which he accuses the Pakistani government of betraying the jihad in Kashmir. Musa, a former commander in Hizbul Mujahideen, became a vocal critic of the established jihadist groups fighting in Kashmir earlier this year. He has accused his one-time comrades of being puppets of the Pakistani Army and criticized them for failing to seek the implementation of sharia law. Musa expounds upon these same themes in his latest message, which was released online on Aug. 31. “Our war is against the Indian army, the murtadd (apostate) police of Kashmir, the Government of India, their officers and their political structure and every such individual who would collaborate with the Kuffar (nonbelievers) and tried to harm this jihad,” Musa says. No terrorist group has capitalized on networked technology more than ISIS, both for recruitment messaging and commanding their fighters on the ground. The internet is their response to asymmetric disadvantage. Where they lack in infrastructure and resources of a state, they use the web to plan attacks, solicit money and reach out to potential members. Meanwhile, U.S. Cyber Command has mustered an array of cyber capabilities intended to undermine ISIS’s operations and messaging on the web. Cyber Command’s campaign against ISIS continues to test capabilities against groups that turn to digital technology to advance their own agendas. Much like the U.S. strategy of denying physical safehaven to terrorists, the U.S. and its allies are seeking to deny virtual safehaven for the spread of terrorist ideology and operational know-how. On the battlefield, physical has merged with digital. ISIS commanders in Iraq and Syria have maneuvered their ranks through urban combat in cities such as Mosul or Raqqa, giving orders and sharing intelligence using networked-devices like phones, tablets, laptops, and small commercial drones. They use disposable Twitter accounts to distribute timely operational commands to fighters following specific hashtags, and create Facebook groups or Telegram channels to relay crude combat intelligence in real time. Russia carries out and encourages ‘active measures’ in Europe to destabilise and confuse governments and societies. But these are often opportunistic and shaped by local conditions. 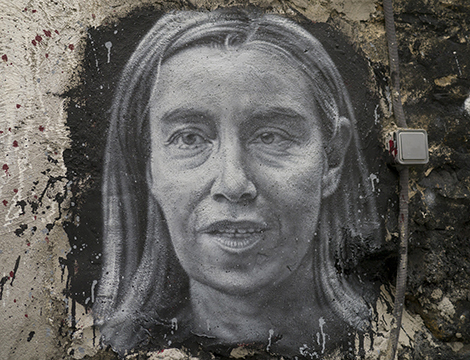 There is no grand strategy, beyond weakening the EU and NATO and creating a more conducive environment for itself. According to research conducted by Simplilearn Career Data Labs, millions of jobs in the IT sector will vanish in the next five years due to automation. Some of the job profiles that may get affected include software test engineers, system engineers, data entry operators, etc. At the same time, new jobs will be created in cyber security, cloud computing, artificial intelligence, big data, etc, says the report. Kashyap Dalal, an IIT-Bombay and IIM-Lucknow alumnus, is the chief business officer at Simplilearn. Dayal, who founded Inkfruit.com and was its CEO before he moved to Simplilearn, analyses the future of the Indian IT sector in a conversation with Rediff.com's Shobha Warrier. The Simplilearn report says 150,000 software test engineers and 260,000 system engineers, among others, will lose their jobs in the next five years. Is automation the reason? We expect significant job cuts in areas like software testing, system engineering, data entry operators, server maintenance, etc. The Trump administration believes it can kill its way to victory by ramping up the war effort and keeping the Taliban out of power. Albert Einstein defined insanity as “doing the same thing over and over again, but expecting different results.” This sums up Pakistan’s perspective of President Donald Trump’s Afghan policy. After sixteen years of war that has cost Americans $1 trillion, Trump has opted for the tried, tested and failed formula of conflict militarization in Afghanistan. At the same time, Trump has called out Pakistan on its duplicity of allegedly “harbouring terrorists” and urged India to play a larger role in stabilizing Afghanistan. In Pakistan, there is disappointment on Trump’s blame game. Instead of acknowledging Pakistan’s sacrifices in the war on terror that have left sixty thousand people dead and cost over $118 billion in economic losses, Trump has conveniently scapegoated Pakistan for American failures in Afghanistan. The United States needs a reality check: not Pakistan, but America’s inconsistent policies and impatient approach have destabilized Afghanistan. Since 2009, the U.S. policy in Afghanistan has changed every year. For instance, in 2009, the Obama administration opted for troop surge arguing there were not enough boots on the ground to win the war. In 2010, the U.S. focus shifted its focus to poppy eradication, which was deemed as the main factor that fueled the Taliban insurgency. Then, in 2011, the United States developed an obsession with rampant corruption in Kabul that undermined the U.S. nation-building efforts. The various attrocities committed by the Islamic State have continued to fuel opposition to the group, but it's still making headway in Afghanistan. For all the very considerable expense, however, the American military does not have a very impressive record of achieving victory. It has won no wars since 1945—especially if victory is defined as achieving an objective at acceptable cost—except against enemy forces that essentially didn’t exist. There are also a few wars in which it could probably be said that the United States was ahead at the end of the first, second, or third quarter—Korea, Vietnam, Somalia, Afghanistan and Iraq. But the final results of these were certainly less than stellar: exhausted stalemate, effective defeat, hasty withdrawal and extended misery. 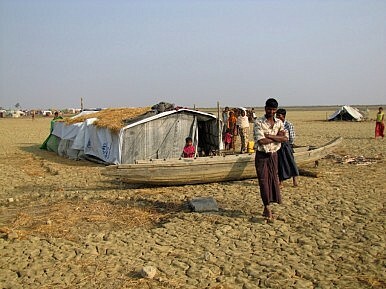 Life for Myanmar’s ethnic Rohingyas is looking grimmer by the day. With Nobel laureate Aung San Suu Kyi standing more like a character in a George Orwell’s novel than as leader of a nation on the mend, her security forces have ripped through villages again, forcing many thousands to flee. Aid workers said that around 100,000 Muslim Rohingyas — 70,000 in recent days — have fled their homes, seeking sanctuary in neighboring Bangladesh amid claims that the Myanmar military was torching villages and indiscriminately killing men of a fighting age. With another humanitarian crisis beckoning, Suu Kyi has done little to curb her military from excess force, an issue made all the worse by the arrival of the Arakan Rohingya Salvation Army (ARSA), which some have argued provoked the latest crackdown. It’s a childish argument, but one which will have no trouble in finding traction in a nation where xenophobia and religious differences have fueled the latest tragedy, racking up victims – mostly ordinary women, children and ordinary folk going about their daily business. It’s also rich fodder for the likes of al-Qaeda and the self-anointed Islamic State (or ISIS), in need of fresh battlefields after being all but routed in Syria and Iraq. One senior Al-Qaeda leader in Yemen has called for attacks on Myanmar authorities in support of the Rohingyas. The rise of China’s ‘blue water’ navy: Will the Pacific turn Red? The rise of China as a maritime power was further enhanced by the news that China’s first domestically built aircraft carrier will be transferred from the dry dock of the Dalian shipyard, and will soon undergo trials and be fitted with systems to make her fully operational. Article by Oliver B. Steward, a Doctoral Candidate in International Security at the University of East Anglia. This article is the opinion of the author and not necessarily that of the UK Defence Journal. The test of a nation’s strength is its ability to project its power across the oceans, and to become truly a ‘blue water navy’. A definition of a blue water navy is one which can operate globally, in deep waters over open oceans. The term was used by the United Kingdom (a maritime global power) of a ‘blue water navy’ is one possessing maritime expeditionary capabilities globally. This would include moving ships, marines and aircraft to potential hotspots globally if needed. The undertaking of building a huge aircraft carrier such as China’s Type 001A is a massive undertaking. Requiring expertise in ship design, naval architecture, weapons systems, and naval airpower technology and systems for landing on such a large structure. This is a significant technological step forward for the emerging superpower. But this is also a statement – that the People’s Republic of China wants to achieve global reach and can be a contender for naval dominance. 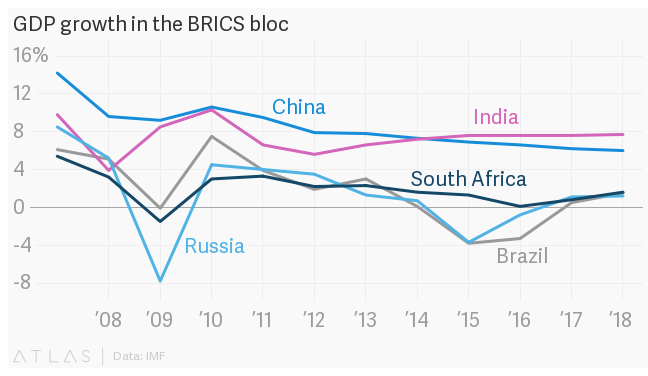 Back in 2001, former Goldman Sachs chief economist Jim O’Neill coined the acronym “BRIC” to refer to the major emerging economy countries of Brazil, Russia, India and China, which, with the addition of South Africa a decade later, were regarded as the next global economic powerhouses. ISIS propagates its ideology and promises of a jihadi utopia through slick social media campaigns, seeking to inspire a global audience to take up arms against its enemies and the societies they represent. Perhaps less visible has been ISIS’ operational use of digital communications as a command and control platform to guide fighters through battles on the ground in Iraq and Syria. Both the U.S. and UK have declared that they are seeking to use offensive cyber capabilities against such digital force multipliers leveraged by the terrorist organization, a form of remote electronic warfare. The Cipher Brief’s Levi Maxey spoke with Ewan Lawson, a Senior Research Fellow for Military Influence at the Royal United Services Institute in London, about what this means from a practical standpoint, and why such operations are more complicated than they appear at face value. The Cipher Brief: Sir Michael Fallon, the UK Defence Secretary, has said that Britain is using cyber warfare in the battle to retake Mosul from ISIS. Could you describe what this means in a practical sense? Ewan Lawson: To a certain extent, the details of these operations have not been revealed, nor are they likely to be in the immediate future. This reflects three factors. 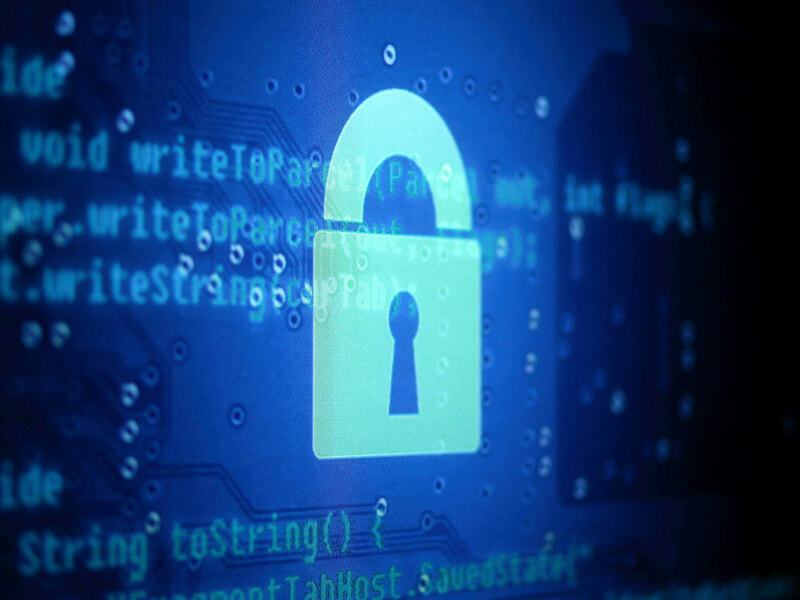 First, the ways in which an organization can gain access to an adversary’s IT systems are relatively limited, and once known, can often be blocked. Therefore, it is important to ensure that appropriate operational security is maintained so that the accesses involved are not revealed and therefore compromised. After staring down the Chinese at Doklam, India would be seeking to send a message to its neighbours who want to balance relations with both Beijing and New Delhi. The first bilateral visit of the prime minister, Narendra Modi, to Myanmar since he took over comes just after his sojourn at Xiamen in China for the BRICS summit. As India seeks to push its 'Act East' agenda with renewed vigour, the visit to Myanmar is one opportunity that Modi will not miss to drive home India's message to smaller neighbours - China is stronger militarily and economically but India is no pushover and is fast catching up. If Doklam has set the stage for that, Modi will start spreading the message with his Myanmar visit. To his great relief, India has not only completed the second phase of its ambitious $484 million Kaladan multi-modal transport project (the Sittwe port and its inland waterways terminal) but it is all set to start work on the final phase that will connect the Paletwa river terminal to Zorinpui in Mizoram. China has already completed its Kyaukphyu port project that will connect the port on Rakhine coast to Yunnan by a rail-road link and a hydrocarbon pipeline. It is pushing for an agreement on the special economic zone. Both Sittwe and Kyaukphyu are in Rakhine state, the northern part of which is now on fire. A fresh bout of Rohingya Islamist militancy followed by a heavy military response has left nearly 100 dead - 12 Myanmarese security personnel and rest supposedly Rohingya 'terrorists'. According to human rights groups, however, most of the latter were villagers who might or might not have joined the Arakan Rohingya Salvation Army on its coordinated August 25 predawn offensive on almost 30 police stations and one army base in a wide arc between the towns of Buthidaung, Maungdaw and Rathedaung. Thousands of Rohingyas are fleeing to Bangladesh, which is trying to block their entry, not always successfully. The United Nations is pushing the Aung San Suu Kyi government to allow a delegation to check the ground situation in northern Rakhine. But Suu Kyi has so far resisted the pressures, obviously mindful of the still powerful Tatmadaw (Myanmar army). But the day she accepted the recommendations of the Rakhine advisory commission headed by the former UN secretary-general, Kofi Annan, the ARSA offensive killed the space for moderation and reconciliation and led to a quantum leap in the conflict. During the grinding battle to retake Mosul from the Islamic State group, U.S. advisers to the Iraqis often settled in at tactical bases near the front for several weeks, but the fast-moving fight for Tal Afar — one of the last ISIS bastions in Iraq before being liberated Thursday — put their agility to the test. Less than 20 miles from Tal Afar, on the eighth day of the Iraqi-led offensive, a whirlwind spun a column of dust across a field, but the U.S. artillery firing line was still. A crew member from a Paladin self-propelled howitzer washed laundry in a bucket, teased by a peer who dumped water on his head. Nothing would remain damp long in the baking heat, though, which was fortunate for Spc. Gary Bartnik. Sometime after he’d started the wash, the platoon was ordered to move out again, about two weeks after rolling in. Coalition troops were being repositioned to support their partners better after Iraqi Security Forces swiftly routed ISIS militants from Tal Afar, located about 25 miles from the border with Syria, and pursued hundreds to a village to the northwest. Days later, in the middle of its second week, the battle would be declared over. Those who believe the people of the Middle East unsuited to democracy may think their bias has been borne out by events. That is not what I saw in Iraq. The devastation the so-called Islamic State wreaked on the Iraqi city of Mosul stuns the senses. Suicide bombers blew up the hospital so that ISIS leaders being treated there couldn’t be captured and interrogated. A water plant mechanic tells of being lashed 40 times because his wife answered the door unveiled. An engineer tells of seeing neighbors burned alive. Children haven’t been to school in nearly three years. The jewel of a university, some of the most modern buildings in the city, are rubble; its library’s 2 million volumes now ashes. ISIS defaced statues, burned churches, blew up the central mosque, and knocked over the minaret of Mosul’s landmark mosque. Junk yards of burned vehicles extend thousands of yards along the highway. I witnessed all those things in Iraq at the invitation of the UN High Commissioner for Refugees to look at the challenges of political, economic, and social reconstruction. How Would the U.S. Military Respond if North Korea Attacked with Tactical Nuclear Weapons? In the event of a war on the Korean peninsula, how would the United States respond to the use of a tactical nuclear weapon on the battlefield that was not aimed at major population centers? Analysts are divided on the issue, but the majority view is that once the nuclear threshold is crossed, the only possible response would be nuclear. “Once an enemy uses a nuclear weapon—for any reason—it crosses the nuclear threshold and invites a nuclear response,” arms control expert Joseph Cirincione, president of the Ploughshares Fund, told The National Interest. Retired Air Force Lt. Gen. David Deptula, dean of the Mitchell Institute and former service intelligence chief, agreed with Cirincione. “A nuke is a nuke... No such thing as a ‘tactical’ nuke,” Deptula told The National Interest. North Korea staged its sixth nuclear test. It was probably a boosted atomic rather than hydrogen bomb, as claimed by Pyongyang, and there’s no evidence that the weapon has been miniaturized to fit on a missile. But the test was the North’s most powerful yet. And it follows steady North Korean progress in missile development. Despite matching Kim Jong-un bluster for bluster, President Donald Trump is doing no better than his cerebral predecessor in halting Pyongyang’s military developments. President George W. Bush had no more success, first targeting the Democratic People’s Republic of Korea as a member of the infamous “axis of evil,” before flip-flopping to negotiate with the current ruler’s father. At least Bill Clinton achieved a temporary freeze of the DPRK’s plutonium program with the Agreed Framework, which ultimately was undermined by both sides. Despite its relative poverty and isolation, North Korea has confounded the experts and made surprising advances in both nuclear and missile technology. While all projections are conjecture, Pyongyang may become a medium nuclear power with an effective deterrent against the United States. The new system that emerges from today’s domestic and geopolitical turmoil is likely to be an updated version of liberal world order, not its negation. This may be effective antipopulist propaganda among elites, but it is poor history. The truth is that since 1945 there has not been just one fixed liberal world order, but several successive versions of liberal world order, each lasting only a couple of decades before giving way to a somewhat different system that can still be described as liberal. The new system that emerges from today’s domestic and geopolitical turmoil is likely to be an updated version of liberal world order, not its negation. What impact will China’s Silk Road Economic Belt (SREB) and the Russian-led Eurasian Economic Union (EEU) have on Central Asia’s economic development, political stability and security? Can Russia and China’s commitments to cooperation between the EEU and SREB be upheld given the diverging goals of the two projects? And what might the initiatives mean for the West’s role in Central Asia? This report by our partners at the International Crisis groups answers these questions and more. The use of plague as a metaphor for terrorism is not limited to religious leaders and magazine writers. Just ask readers of The Plague, Albert Camus’s postwar novel about German-occupied France that celebrates its 70thanniversary this year. The story is as simple as it is sobering. In the near past, a plague settles upon Oran, a city in then-French Algeria. Quarantined from the rest of the world, the city must first accept its new normal before it finds an effective form of resistance. As the city’s body count climbs during the torrid summer months, the efforts at stopping it seem derisory. On Sunday, headlines began swirling when Philippine President Rodrigo Duterte said he may look to discuss the possibility of creating a task force with Indonesia and Malaysia to combat the Islamic State. Over the past few months, particularly following the siege of Marawi City by Islamic State-linked militants, Indonesia, Malaysia, and the Philippines have been looking to boost cooperation among themselves to deal with the rising terrorism threat. 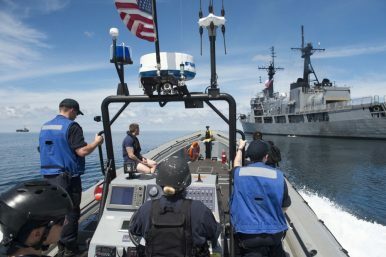 The clearest example of this that has dominated the headlines has been the trilateral patrols in the Sulu-Sulawesi Sea, which had been mulled since last year but were formally launched in Tarakan in June as “Indomalphi,” an unwieldy name incorporating the beginning part of each of the three countries’ names (See: “What’s Next for the New Sulu Sea Trilateral Patrols?”). But both countries have also met to discuss how to collectively forge cooperation against terrorism, with the outlines of an initial action plan focusing on areas like sharing intelligence, curbing illicit activities along their borders, stopping terrorism financing, and containing the spread of terrorism-related content in cyberspace (See: “What Did The ASEAN Trilateral Terror Meeting Achieve?”). PARIS (AP) – France is set to arm drones that are currently used exclusively for surveillance and intelligence, a first for the French military, the defense minister said Tuesday. 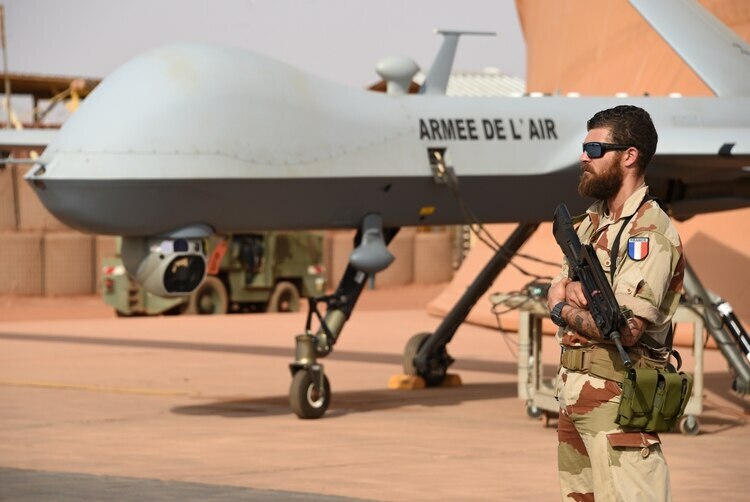 Florence Parly said the decision will initially apply only to the six unarmed Reaper surveillance drones that France bought from the United States. Most of them, based in Africa’s Sahel region, are involved in the fight against Islamic extremists. The drones wouldn’t become “killer robots,” Parly said, stressing that strikes would be governed by strict national and international rules relating to the use of force. Please allow me to add my congratulations to that of the international community on your recent liberation of Mosul from Daesh. Reports this week indicate that the city of Tal Afar has also been retaken. Your country has every right to be proud of these hard-fought victories on the path to defeating the scourge of Daesh within Iraq. Of critical importance at this stage of your campaign against Daesh are the “war termination criteria” for your open, conventional fight against Daesh. How this fight ends will determine how unified (and bloody) a post-Daesh Iraq will be. Accordingly, there are three questions for you to consider. The first question is “How far do we (i.e. Iraq) go militarily against Daesh?” There is no doubt that allowing Daesh to continue as an organized, armed group within your sovereign territory is unacceptable. It appears that from your policy goals you have quantifiable and verifiable metrics against which to measure your progress. And as you affirmed with U.S. Secretary of State Rex Tillerson, last month, there no purely military solution to Daesh. But it does raise a series of broader questions. With the chip scaling framework known as Moore's Law clearly running out of steam, the Defense Advanced Research Projects Agency (DARPA) is attempting to reinvigorate and leverage a vibrant domestic chip sector with a $200 million initiative designed to push the boundaries of chip architectures such as graphics processors. DARPA recently announced that its Electronics Resurgence Initiative seeks to move beyond Moore's Law chip scaling. 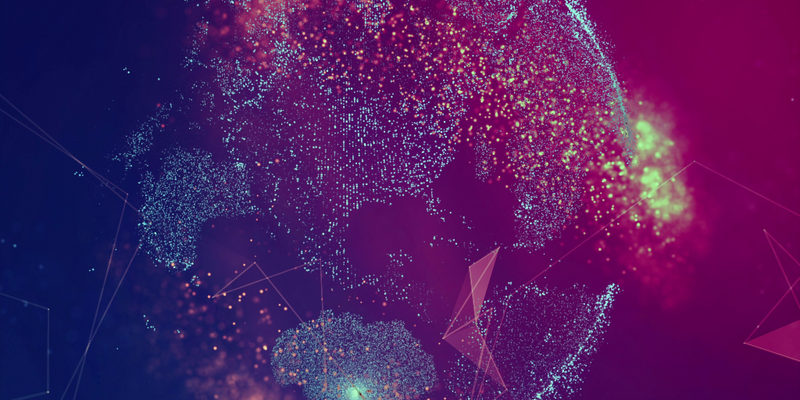 Among the new fronts to be opened by the defense agency are extending GPU frameworks that underlie machine-learning tools to develop "reconfigurable physical structures that adjust to the needs of the software they support." The chip initiative overseen by DARPA's Microsystems Technology Office will also attempt to lay the groundwork for a post-Moore's Law era where, according to the agency, research will focus on "integrating different semiconductor materials on individual chips, 'sticky logic' devices that combine processing and memory functions and vertical rather than only planar integration of microsystem components." As the focus of chip technology zeroes in on data driven applications, DARPA said it would cast a wider net to harness semiconductor innovation that would lead to a post-Moore's Law generation of microelectronic systems benefitting military and commercial users. EMP: North Korea's Ultimate Weapon Against America? If a war were to breakout on the Korean peninsula over Pyongyang’s development of long-range intercontinental ballistic missiles (ICBMs) and its thermonuclear weapons development efforts, the resulting conflict would be catastrophic even if it remained purely conventional. Worse still would be if nuclear weapons were used—which could ultimately escalate into Armageddon. While the devastation that nuclear weapons can wrought on to cities and other population centers is obvious, the use of tactical nuclear weapons is often overlooked. In the case of Pyongyang using tactical nuclear weapons to defeat a U.S.-led military intervention, American and allied forces might suffer more damage than many might expect—particularly from the effects of electromagnetic pulses (EMPs) generated by such weapons. EMPs can do serious damage of electrical systems that are not specifically hardened to withstand such events. Indeed, U.S. forces are particularly vulnerable due to America’s reliance on networks and advanced sensor system—many of which were developed after the end of the Cold War. Defense analysts and military officials are reluctant to comment openly about the seriousness of the problem due to the level of classification, but they knowledge that only some U.S. and allied hardware is protected from the effects of an EMP blast. Submitted in collaboration with TRADOC's Mad Scientist Continuum: Visualizing Multi-Domain Battle - 2030-2050. One of the most rapidly growing areas of innovative technology adoption involves unmanned systems. The U.S. military’s use of these systems—especially armed unmanned systems—is not only changing the face of modern warfare, but is also altering the process of decision-making in combat operations. These systems are evolving rapidly to deliver enhanced capability to the warfighter in the multi-domain battle space. However, there are increasing concerns regarding the degree of autonomy these systems—especially armed unmanned systems—should have. Until these issues are addressed, military unmanned systems may not reach their full potential. One of the operational and technical challenges of fielding even more capable unmanned systems is the rising cost of military manpower—one of the fastest growing military accounts—and the biggest cost driver in the total operating cost (TOC) of all military systems. Because of this, the U.S. military has sought to increase the autonomy of unmanned military systems in order to drive down TOC. As military unmanned systems have become more autonomous, concerns have surfaced regarding a potential “dark side” of having armed unmanned systems make life-or-death decisions. Some of these concerns emerge from popular culture, such as movies like 2001: A Space Odyssey, Her, and Ex Machina. Whether the movies are far-fetched or not isn’t the point, what is important is that the ethical concerns regarding employing armed unmanned systems are being raised in national and international media. Should the US and other nations ban or undermine encrypted online communication tools in response to the use of such technology by terrorists? According to Aaron Brantly, calls for such a move may often follow attacks, but it would be a mistake. For instance, he suggests a ban 1) would not prevent the ability of terrorist actors to gain access to such tools; and 2) would create vulnerabilities in online applications, exposing broader society to increased security risks. Terrorist groups are increasingly using encryption to plan and coordinate terrorist acts, leading to calls for the banning or backdooring of encrypted messaging apps. This would be misguided. It would not remove the ability of terrorist groups to access this technology and may push them to communicate in ways that are more difficult for Western intelligence agencies to monitor. By creating vulnerabilities in online tools used by a very large number of Americans and other users around the world, it would also expose the broader society to increased security risks. Calls for backdoors to be placed within popular peer-to-peer messaging applications that use end-to-end encryption, or for these apps to be banned, have become almost a ritual in the wake of terrorist attacks in the West.1 Although there is substantial evidence terrorists are increasingly using encryption in their communications in planning, providing instruction for, and coordinating attacks, these calls are misplaced and would likely make communications intercepts more difficult except in the very short term. ISO 27001 is the international standard that sets out the specifications of an information security management system (ISMS), a best-practice approach to addressing information security that encompasses people, processes and technology. If you are considering ISO 27001 certification, you may be interested in our debunking of three myths about the Standard. In a recent podcast we caught up with information security expert and author Brian Honan, who said that it “really struck him how complicated people seemed to think ISO 27001 was”. He added that many people thought ISO 27001 would “require thousands of mandates, lots of money to invest in IT equipment and systems, and would take forever to get implemented”. However, Brian said that the Standard is not as complicated as you might think and that you may not have to buy new security systems to comply with it. A lot of the technical controls in ISO 27001 can be addressed with the inbuilt functionality and tools in Microsoft Windows. Many people who know more than I do can describe different aspects of this story. But how Google affects and dominates the publishing industry is something I know very, very well because I've lived with it for more than a decade. To say I've “lived with it” makes it sound like a chronic disease or some huge burden. That would be a very incomplete, misleading picture. Google has directly or indirectly driven millions of dollars of revenue to TPM over more than a decade. Not only that, it's provided services that are core parts of how we run TPM. So Google isn't some kind of thralldom we've lived under. It's ubiquitous. In many ways, it makes what we do possible. What I've known for some time – but which became even more clear to me in my talk with Barry Lynn on Monday – is that few publishers really want to talk about the depths or mechanics of Google's role in news publishing. Some of this is secrecy about proprietary information; most of it is that Google could destroy or profoundly damage most publications if it wanted to. So why rock the boat?